Establishing and implementing marketing strategies, develop excellent above and below the line marketing campaigns, identify potential products that will cater for both rural and urban markets and provide vision for the company’s marketing and product development activities. Coordinating and implementing marketing and events activities of Mobisol’s products and services in line with the strategic objectives of the company. Provide strategic communication services in terms of media this includes social media in order to support the products and services of Mobisol to ensure income growth also ensure consistent implementation of Mobisol’s product awareness in the market. In close cooperation with the commercial team and other stakeholders – lead the strategy development and design of high impact marketing activities in Tanzania. Ensure daily execution according to developed guidelines and policies. This includes setting up strong go-to-market approaches and ensuring consistency in the execution of above and below the line marketing activities according to brand guidelines on a daily basis. Implement the marketing side of go-to-market strategy for new products, adapting plans from Mobisol’s global head office. Develop new and innovative ways to market Mobisol products to the target customer in rural and urban areas. Represent Mobisol towards stakeholders and set up synergetic marketing partnerships. Prepare annual marketing plan and budget. (Defining customer experience, annual operating plan & product lifecycle). Develop annual sales and marketing campaign including digital marketing campaigns and coordinate market surveys with the research companies to access market data for management decision making. Forecasting and identifying customer needs through marketing programs and ensure all marketing activities are in compliant with applicable laws. Ensures the graphics that are designed communicate ideas that inspire, inform, or captivate our existing and prospect customer’s also proper overall layout and production design for advertisements, brochures, magazines, and corporate reports are done in a professional manner. Evaluate direct reports’ performance against KPIs, developing and implementing plans for improvement, discussing achievements, strengths, weaknesses, and training plan; focusing also on the personal development of the team. Ensure performance consequences are taken by the line managers in your department i.e. recognize best performers and manager poor performers from time to time through both, formal and informal feedback. Assess and monitor the training and development needs of the staff in the department. Degree holder in Business Administration/ /Marketing or its equivalent. 8 years working experience in Marketing at the senior role with a proven record of accomplishment and successful marketing campaigns and projects. Business acumen and strong commercial awareness. Strong knowledge of marketing evaluation tools. Strong analytical skills with the ability to establish business cases including conducting the quantitative and qualitative analysis. Strong leadership, communication, and negotiation skills. Ability to work in a fast growing dynamic environment to effectively build relationships and partnerships. Passion for Mobisol´s vision to Plug in the World. The position with a direct reporting to the Managing Director will open up new insights and understanding to the Renewable Energy Markets in a fast growing International Company. With opportunities to grow both professional and personally in a Multi-cultural organization with a motivated Team and experts.. If you are interested in this exciting opportunity, please upload your application (motivation letter, CV,certificates, salary expectation) with the button below. As an equal opportunity employer, Mobisol offers all of its employees and applicants full equal opportunity irrespective race, ethnic origin, sexual identity and disability, religion or beliefs. 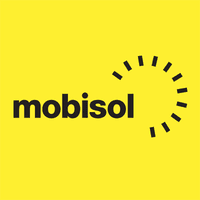 Mobisol does not charge for recruitment and will not be held responsible for any payments made for recruitment.